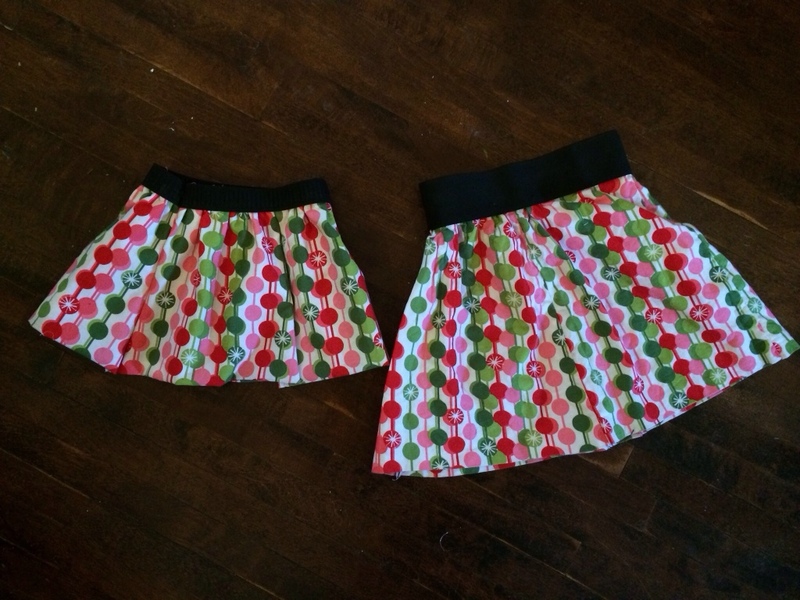 Two years ago, I sewed matching Christmas skirts for Maple and I. This morning, I cut mine up and made it into a little one for Fern instead. Few things make me feel more domestically awesome than sewing clothes for my kids. Another item to check off my holiday “Want to do” list!